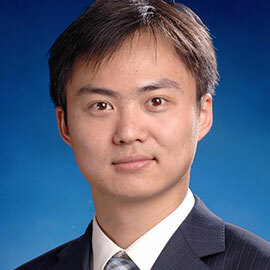 Dr. Chen earned his PhD in Accounting from the University of Waterloo in 2017 and earned his master's and bachelor's degree in Economics from Fudan University in China. Prior to joining Laurier, he was a financial auditor at PricewaterhouseCoopers (2003–2006) and a financial advisor at KPMG (2006–2011). He is a certified public accountant in China. Managerial discretion in disclosure and reporting, information content of accounting numbers, fair value accounting, accounting issues in financial reporting standards setting, and capital markets. The Social Sciences and Humanities Research Council (SSHRC) Insight Development Grants. 2018–2020. Cedergren, M., C. Chen, and K. Chen. Forthcoming. The implication of unrecognized asset value on the relation between market valuation and debt valuation adjustment. Review of Accounting Studies. Voluntary disclosure of disaggregated balance sheet and cash flow information around restatements (with Darren Henderson and Christine Wiedman). Press release management around accelerated share repurchases. Supplier’s relationship-specific investment and customer’s management forecasts. Office hours: By appointment or when the door is open.